NORIYOSHI (NORRY) MIYASHITA, It is with sadness that we announce the sudden passing of our beloved husband, father, grandfather, brother, uncle and friend in Winnipeg, Manitoba, on Thursday, March 24, 2016. He will be sadly missed by his wife of 53 years Kathryn (nee Law); sister Kazi (Nobby Kamitakahara); brother Hero (Linda); son Charles (Sherry); daughter Kristine (Martin Hall); granddaughters Mikayla, Madelyn, Kate and Grace; and numerous sister-in-laws, brother-in-laws, nieces, nephews and friends. He was predeceased by his parents Ihei and Tose (nee Nabata) and sisters Tosh (Don Keyser) and Terry (Fred Tamagi). Norry was born January 3, 1930 in Vancouver, BC and was evacuated to Glenwood, Alberta in 1942 with his family during the war to work on sugar beet farms. After the war he worked in the family potato business and market garden in Glenwood. He started to work for Sturdy Propane in 1951 in Lethbridge and was transferred to the Calgary office the same year. That was the start of 43 years with the same company (Canadian Propane, ICG Propane, Petro Canada) through many mergers and acquisitions. He started dating the love of his life, Kathryn Law, in 1954 and they were married in 1962 in Calgary, Alberta. They had two children, Charles and Kristine, who they raised in Calgary until 1978 when he was transferred by work and the family moved to Winnipeg, Manitoba. Norry’s greatest love was his family and he especially liked to dote and play with his wonderful grandchildren (aka “funny grandpa”). He was selfless in times of need and loved helping people. He instilled to his children the value of dedication, hard work, and attention to doing one’s best in any pursuit. He was a gifted artist and regularly amused his children and grandchildren with his doodled cartoon characters. He loved baseball and was a gifted athlete in his youth. He always made time to help his children pursue their academic, artistic and athletic aspirations. Norry leaves all his family and friends with many happy memories and the sense of profound love and gratitude. Norry, we leave you now in God’s care till we meet again. The family wishes to thank all of his many friends and co-workers, for their care and compassion at this difficult time. The family would also like to thank the emergency staff at Concordia Hospital and the first responders that tried to help our husband and father. 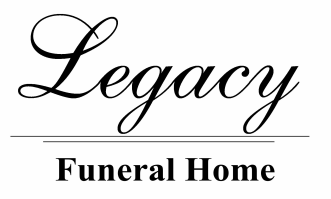 A Funeral service will be held at The Church of Jesus Christ of Latter-day Saints, Glenwood, Alberta on Friday, April 1st at 1:00 p.m. with interment to follow at the Glenwood Cemetery. Friends may meet the family at the church from 12:00 noon to 12:45 p.m. prior to the service. A Memorial service will be held in Winnipeg, Manitoba at The Church of Jesus Christ of Latter-day Saints, 700 London Street on Saturday, April 9th at 2:00pm. If friends and family so desire, memorial tributes may be made directly to the Canadian Cancer Society or the Canadian Heart & Stroke Foundation.